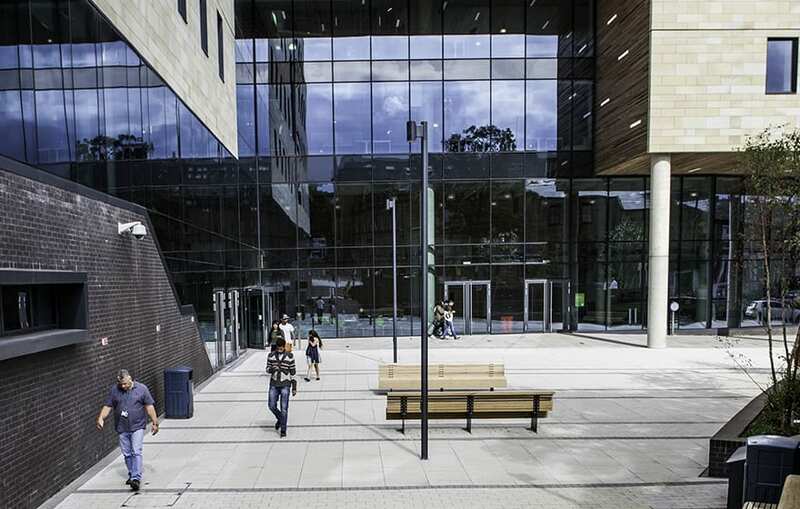 Bradford College is an important part of West Yorkshire's higher education landscape, with a 182-year history and 25,000 students. It is also in rapid transition: rebranding, sprouting satellite colleges, laboratories, sports centres and renewing its accommodation. The six-storey, £50m David Hockney Building, named after the college’s most famous old boy, replaces three existing teaching blocks and is designed by Bond Bryan Architects to evoke the wool mills of Yorkshire's past. Turner & Townsend worked as project and cost manager. Contractor Bam Construct UK decided to make it a pathfinder project for Autodesk’s BIM 360 Field, which uses mobile technologies and a cloud-based software platform for collaborating, data capture, management and reporting functions. This means that site managers and foremen can access the BIM model in real time on site using tablet computers. Mark Taylor, the BIM manager for BAM, says that initially there was a mixed reaction from subcontractors: those who hadn’t used the system before would have preferred to work in a familiar environment, but others bought iPads for their operatives. But the first time the site staff and the subcontractors saw the model on their tablets, it seemed the fears of the doubters were realised: Taylor says the model looked like “a white shoe-box”. Investigation revealed that the colour information from the architect’s Graphisoft ArchiCAD ifc files were not being translated in BAM’s Navisworks platform. The solution was to work with AutoDesk to produce a patch, which fixed the issue. BAM was using Navisworks and Asta Power Project as its planning and coordination tools, and worked with the architect to make sure its design model facilitated the construction process as well. Taylor says: “We wanted to timeline the work, then following that we worked with the architect so that the model fitted with the build process and allowed us to try out scenario planning. For example, the tendency is to model something full height, but we wouldn’t build it like that, so we worked with the architect to break the model down and add phasing data. The next phase of the trial was to look at how site teams could be made more efficient and collaborative. The aim was to minimise rework and defects, and ensure health and safety best practice was adhered to. Here, BIM 360 really made a difference, Taylor says. “It allows you to do health and safety checks, quality assurance checks, raise issues and it meant we could stop somebody and say ‘you shouldn't be doing this’, and you could show them why because you’d got the information at hand. The BIM 360 system had a big effect on how quickly and effectively problems could be dealt with, Taylor says. “When we found issues on site, say reinforcement was missing or missplaced, we'd be able to take a picture, attach drawings and specification and send it to the relevant subcontractor. 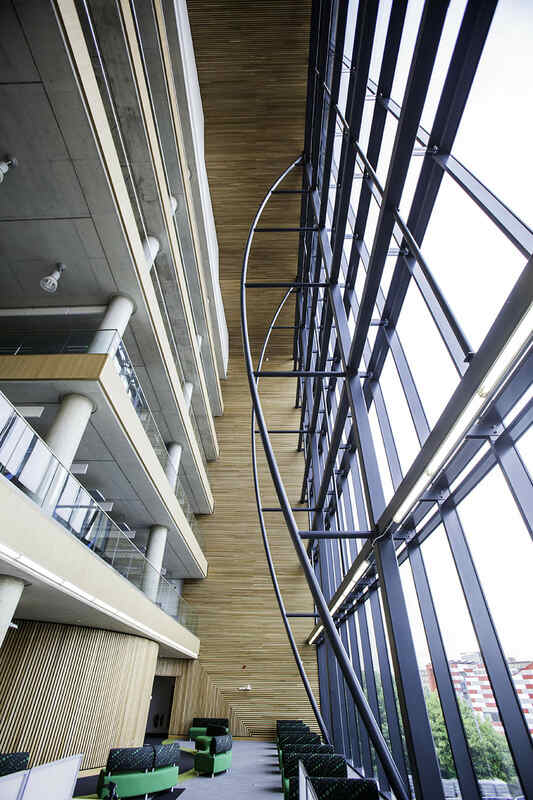 Despite its size and complexity, the project was finished on time, and Bam estimates that the effect of coordination using the BIM on elements such as “BWICS” [builders work in connection with services] was to make it 60% more efficient. So, how will Taylor use BIM 360 Field next time? The answer is that there will be no great changes, but some fine-tuning: as the software can be reconfigured by the user, BAM will be looking to try different ways to organise the workflow. Also, the team will have more confidence to explore all the possibilities and extend its use further.